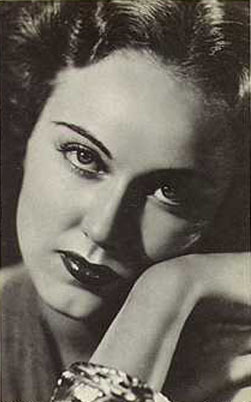 Fay Wray was born in Canada but raised in Arizona, then Utah, then Los Angeles. At 15 she landed a small role in her first movie, Gasoline Love (1923). Her big break was the female lead in the silent classic The Wedding March (1928), co-starring with early auteur Erich von Stroheim. As Wray tells the story, she was offered a role opposite "the tallest, darkest leading man in Hollywood", and she hoped it was Clark Gable, but instead it was King Kong (1933). She played the giant gorilla's love interest, Ann Darrow. It was her most famous role, and made hers Hollywood's most famous scream for decades. Wray retired from films in the 1940s, returning in the '50s to make not-so-classics like Tammy and the Bachelor (1957). Her last acting was a supporting role in Henry Fonda's 1980 TV movie, Gideon's Trumpet. In recent decades, she's written an autobiography, On the Other Hand, and a play, The Meadowlark.